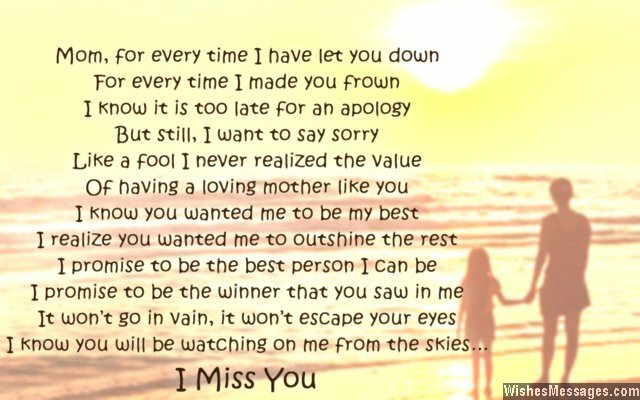 I Miss You Poem for Mom after Death: Has life plunged into sadness and grief after your mom’s death? It will be difficult to cope up without the love of the mother who nurtured you since the day she held you in her arms for the first time. Use the power of literature to soothe the pain of your loss. 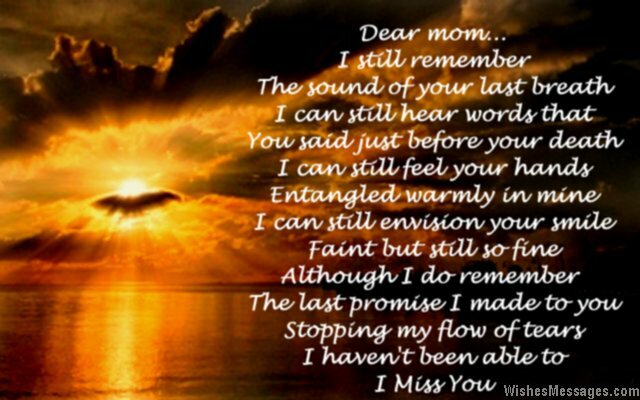 Read these poems to reflect upon, and remember your own relationship with your late mother. Don’t hold back the tears. Let the emotions flow. 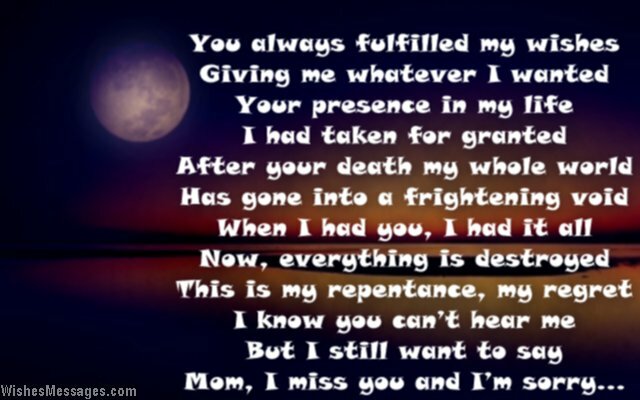 Whether your mother’s passing away was caused by illness, cancer, old age or an untimely accident – use your words to purge your soul of all the sadness, sorrow and regret. Write your own quotes and share them with your friends and family. Your messages and notes will become lifelong reminders of the beautiful person who graced your lives in a way that no one else possibly can.